Here at Farleys, we have a large number of specialist solicitors dealing with all types of personal injury claims, with our dedicated injury lawyers recognised both regionally and nationally for their work. Our expertise and knowledge in navigating complex personal injury litigation enables us to successfully secure the optimum settlement for our clients, having secured tens of millions of pounds in compensation for our clients. You can suffer an injury anywhere. It might be as the result of a car crash accident, an accident at work or even just walking in the street. It may be life threatening or less serious but you can still claim compensation even if you may have been partially to blame. As well as the physical aspects of a personal injury, many people also have to deal with the ongoing impact of the injury on their everyday lives. A personal injury can result in absence from work, the need for care and ongoing medical treatment. Because of this the thought of starting a compensation claim for personal injuries can often be a stressful and daunting process. Our personal injury solicitors will advise you in practical and straightforward ways and advise you on all of the funding options available to you, meaning that you can make a decision based on your own personal circumstances. It may well be that we can contact your Legal Expense Insurers or alternatively arrange to proceed with your case on a No Win No Fee basis; meaning that in the event that your claim is unsuccessful, you will not have to pay us any fees. Our experienced team of lawyers can also help you to pursue a medical negligence claim where you or a loved one have suffered as the result of a poor standard of care provided by GPs, nurses or in hospital. We realise that our clients are individuals and each case is different. Your case will be carefully managed by one of our expert solicitors who will be your dedicated point of contact throughout the entirety of the claim. If you think you may have a personal injury or clinical negligence claim, we are able to offer you a free claim assessment. Call us now for a free consultation and we can explain how your compensation claim can be dealt with, and to give you peace of mind, we’ll explain the different ways in which the case can be funded. It may well be that we can contact your Legal Expense Insurers or alternatively arrange to proceed with your case on a No Win No Fee basis; meaning that in the event that your claim is unsuccessful, you will not have to pay us any fees. Unhappy with your current solicitor? 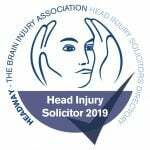 Our team of personal injury solicitors, headed by firm partners Michael Corrigan, Jonathan Bridge, Paul Corrigan and Nick Molyneux, include members of the Law Society Personal Injury Panel and Members of the Association of Personal Injury Lawyers. For a free consultation with a No Win, No Fee Personal Injury Solicitor at Farleys Solicitors LLP, call 0333 331 4363 now, contact us by email or come into one of our offices at Accrington, Blackburn, Burnley, Preston or Manchester. “Outstanding service that went beyond expectations. The professional courtesy of Farleys was exceptional. With great kindness, courtesy and patience they guided me through a very difficult process. Prince Philip’s Crash – Are Older Drivers Really More of a Risk? Accidents in Snow and Ice – When Should I Make a Claim?